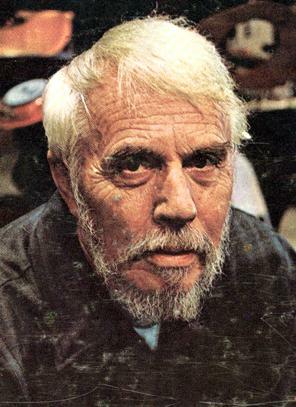 Outsider composer Harry Partch abandoned a university musical education, lived as a hobo for ten years in depression era America, and wrote an opera based on Yeat’s translation of Sophocles’ Oedipus the King. At an early age Partch forsook the ‘dead, white, middle class musical tradition’ and the Western system of musical notation; developing new scales (including a 43 tone scale, with 43 notes per octave rather than 12! ), inventing new methods of musical transcription, and constructing instruments which could ‘capture the melodic contours of dramatic speech’. Above is a youtube playlist featuring a fascinating BBC documentary on the composers life, music and influence. To quote the documentary ‘[Barstow] created an obscure, strange, difficult but always fascinating musical universe in an attempt to exist apart from the modern world’. Radicalised by his homosexuality, Partch remained apart for much of his life from even the radical fringes of the classical establishment, obsessively studying the musical notation and instrumentation of ancient civilisations, building his instruments and composing pieces to express their radical capacities. Partch’s influence can be seen today in a variety of contemporary experimental composers, in radical outsider musicians like Jandek who record and perform using microtonal tunings, and in the continued construction of custom instrumentation to achieve previously impossible ranges of sound. You can read more about Partch and one of his most accessible works, ‘Barstow‘ appropriately enough on another anablog – this one written by the Analog Ensemble. You can also hear clips of a variety of versions of Barstow, on Corporeal.com.